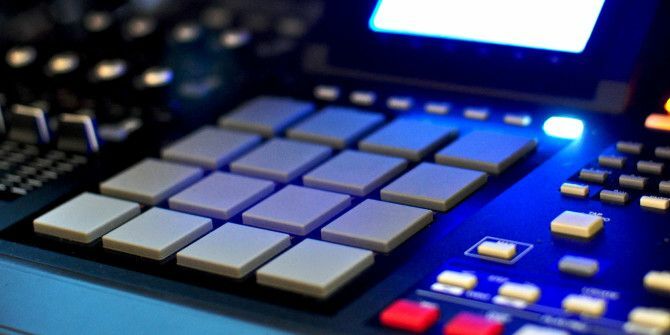 Few devices have had an impact on music quite like the Akai MPC. The sampler, sequencer and all-round music making machine was first released in 1988 and soon took the hip hop world by storm. The ability to sample, chop and play back the results using with 16-pad percussion-like accuracy unleashed waves of creativity across the world, and Akai still make the MPC today. Luckily, Akai has recognised that not everyone has a couple of thousand dollars to spend on dedicated music-making hardware. iPad users have been able to make great use of their additional screen real estate with iMPC for iPad ($6.99) for a while and now iMPC for iPhone ($4.99) has arrived. While both apps are very similar in functionality, it’s the new iPhone release that we’ll be looking at today. Is this the pocket hero bedroom producers have hoped for? Both the iPhone and iPad editions of iMPC are very similar – the iPhone edition is in fact a very convincing port of the iPad version that (surprisingly) doesn’t feel cluttered. I have used both versions, and while the iPad version benefits from the extra finger space, the iPhone equivalent is just as powerful; albeit in a smaller package. Making music on iOS is kind of a big deal. It’s no surprise that the iPhone and iPad are empowering for many, removing the technical difficulties of owning and maintaining such a device while providing big inviting touch screens to prod at and apps to consume by the dozen. It fits then that the software should be as equally straight-forward and easy to use, though there’s a fine line between simple and limited. Luckily, Akai Professional (with help from Retronyms) appear to have struck the right balance here. I don’t think there’s an app that will have you creating music quite as fast as iMPC will. The approach holds you hand carefully to begin with, before leaving you foaming at the mouth and wanting more. Thankfully, there’s plenty more to be had once you’ve learned the ropes. Figure and iKaossilator are two other apps that spring to mind, but they’re shockingly limited in the grand scheme of things. Each is a wonderfully simple and satisfying experience, but once you’ve swiped and tapped a few times you’ll have to save and abandon your current project in order to continue being productive. iMPC changes that somewhat by offering a more rounded experience – it’s a production tool, in essence. The new iMPC for iPhone comes with “more than 600 samples” while the iPad version ups that number to 1200. Each have around 50 editable programs (banks of samples) with the option of creating your own. Oh yes, you can actually sample your own music, add it to your own custom program, layer it up with some in-built 808s and let your creativity take over. Best of all you can sample the microphone, which means you can also sample using line-in from a source of your choice (or using a fancy high quality microphone) directly from your iPad or iPhone. These samples are however limited to 10 seconds, something that I’m hoping developers will address in future (at least for more powerful devices). This means there is no messing around with PCs or Macs, or iTunes File Transfer (unless you want to). You are also able to sample tracks from your music library, and both versions are audio paste ready, which means you can copy audio from other apps and paste them directly into iMPC. Made a sweet beat in Funkbox Got Drums? Funkbox Emulates 14 Vintage Drum Machines [iOS] Got Drums? Funkbox Emulates 14 Vintage Drum Machines [iOS] Yesterday I reviewed AudioBus, a system for iOS that allows users to connect compatible music apps together. AudioBus offers a taste of the future when it comes to tactile music creation, but in order to... Read More and a wobbly bassline in Figure? Now you can bring the two together, cut them up, resample, save and use them throughout your projects or even perform them live. The huge number of samples available to you from the get-go goes hand in hand with the pre-made sequences you can access using the jog wheel in Cue Sequence mode. These modes can be toggled using a drag-away panel on the left, and it’s a good compromise for working in-depth on a small device. Playing around with these sequences will give you a taste for how the MPC works as a performance tool, which is what will leave you wanting more at the end of the day. The iMPC comes with many of the hallmark MPC features that made it a household name among producers, DJs and hobbyists alike. The Time Correct feature quantises beats for you, so you can fix your sloppy mistakes with a tap. There’s an undo function for those “what was I thinking” moments and the sampler allows you to precisely chop up any incoming sounds you want to use. The results are impressive, but much of the work will be done in your head, coming up with ideas, rather than wrestling with software. Effects comprise of a compressor (for normalising volume), a bit crusher (for that lo-fi appeal) and a delay module that can sync to a tempo. Each of the four tracks you have available (i.e. four simultaneous banks of sound playing) are routed through a mixer with balance, volume and mute controls. This affords you a surprising amount of control over the resulting sound, and the addition of a few currently iPhone-only 3D performance tools (hold a button and tilt your device) lets you control the sound with physical movement, like a MIDI Fighter 3D (but not quite as cool). Once you’ve come up with something you’re happy to put your name to, you can share it via an in-app community that’s powered by SoundCloud. These mixes are accessible to all other iMPC owners via the app, while having the benefit of being publicly accessible via the SoundCloud website. If you’re short on inspiration, have a listen – you’ll be scarpering back to the drawing board wondering why your mixes don’t sound that great. Both versions of iMPC are excellent live performance tools, even if your audience consists of a few friends with a passing interest in music production. This is the sort of app that begs to be picked up and played with by passers by, and in that respect it almost makes sense to have both the iPhone and iPad versions around. It’s easy to spend a few hours in iMPC playing around with samples, sequences and generally having fun and for that reason I think both the iPad and iPhone versions are worth their $4.99 and $6.99 price tags respectively. For a little more than the price of a gem-popping timewaster you can have a truly creative pocket workstation that comes with enough samples to keep even newcomers to the iOS music making scene content, while offering some truly powerful mixing, cutting and sampling options when you decide you need them. Have you played with either version of iMPC? Perhaps you’re lucky enough to own a hardware MPC? Let us know what you think in the comments, below.